Whakatane chartered accountant and farmer Donna Smit is joining the board of Ballance Agri-Nutrients. She and returning director Sarah Von Dadelszen will fill two vacancies in the North Island. With their election, the Ballance board has two women at the table for the first time. Eight candidates contested the two vacancies created by the retirement of Oliver Saxton after 15 years and the retirement by rotation of Sarah Von Dadelszen. Chairman David Peacocke has congratulated both on their election. “Sarah has made a strong contribution since her election in 2014 and we look forward to gaining from Donna’s farming and commercial experience. Both have secured very good support within our shareholder base, especially given the strong field of candidates. Donna and her husband Corrie run a successful family farming operation with properties in Whakatane and Oamaru producing 1.4 million kilograms of milk solids. 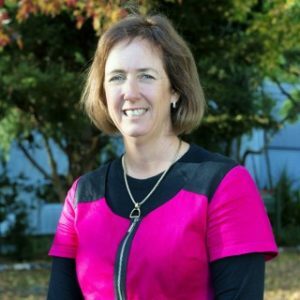 She has 23 years of commercial experience as a company administrator and has held governance positions in farming and community organisations including Primary ITO, Taratahi Agricultural Training Centre, Dairy Women’s Network, Kiwifruit Equities and Eastern Bay Energy Trust. Sarah and her husband Sam operate a 13,000 stock unit sheep and beef property and a 350 cow dairy farm near Takapau, in the central Hawke’s Bay. She holds a Bachelor of Agriculture from Massey University, and has been actively involved in governance roles across the rural sector with the NZ Beef Council and Fonterra Shareholders Council and is currently a trustee of the Agricultural and Marketing Research and Development Trust.